Mama Mia! 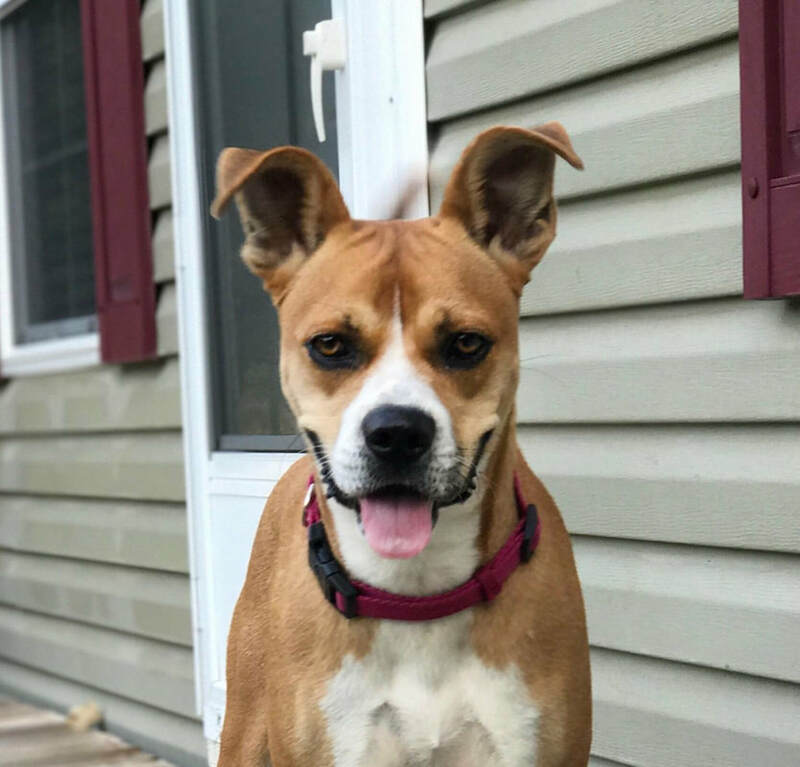 This adorable, springy Boxer/Husky mix is a perfect addition to an active household that also wants a well-socialized, snuggly furbaby. Mia loves to run, hike and play chase with her dog friends. She would love to learn flyball or show her athleticism with a Frisbee. She just needs new humans to teach her (and love her!). And her ears are so cute and floppy when she runs! This mid-sized sweetie weighs 46 lbs. and is 18 months old. She is house trained, spayed and up to date on shots. She’s good in a home with other dogs. Mia’s current home has four young children under the age of 6 and several dogs. Unfortunately, with a pending divorce going on, the dogs need to find new homes. So, Mia is looking for her forever family! Mia hopes to travel to Colorado soon, but we are awaiting a foster, foster-to-adopt or forever home! Is that you? Don’t miss the opportunity to meet this special girl! Please note: Even though Mia lives successfully with toddlers, our policy still applies: we do not adopt to families with children under the age of 6. ​Check out Mia's adorable videos below, created by her awesome foster Mom, Kate Hedges! For more info about Mia and/or to apply to adopt her, go to the top toolbar, click Adopt, click Dog Application, then fill it out and send it in. A volunteer from Summit Dog Rescue will get back to you as soon as they can.